Adding unearned titles like "Dr." or "PhD." to your name is deceptive and unethical at the least but for two county officials in Texas it may also have been criminal. The following article is reprinted here with permission. Side notes, links and images are provided by News for Public Officials. Two of Fort Bend County's top elected officials this week have opted to stop referring to themselves as doctoral recipients, having been informed they may have broken Texas law. (Section 32.52) of the Texas Penal Code prohibits the use of fraudulent or substandard degrees "in a written or oral advertisement or other promotion .. with the intent to ... gain a position in government with authority over another person, regardless of whether the actor receives compensation for the position." The inclusion of unpaid positions in the law may be particularly troubling for Wilson. In addition to her paid position as Fort Bend County Clerk, Wilson serves on several powerful state committees and has been a featured speaker for state and national associations as Dr. Dianne Wilson, PhD. 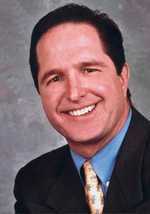 In 2004, County Judge Bob Hebert took credit for earning a PhD. from California Coast University, while County Clerk Dianne Wilson began referring to herself as “Dr. Wilson,” in 2003 based on a title she earned through Kennedy Western University, now known as Warren National University. It turns out since at least 2005, however, it is a crime in Texas to promote degrees from either school. The Texas Legislature that year passed a law which let the Texas Higher Education Coordinating Board create a list of schools, “whose degrees are illegal to use in Texas.” Both California Coast and Warren National were included on the list. The law made it a Class B misdemeanor to use “substandard degrees” to apply for jobs in Texas. “I took an oath of office that I would uphold the laws of the state and country, and that's now a law in Texas, so I'm honoring it,” she said on Thursday. The hubbub, say both officials, began on Monday when a reporter with Houston's Channel 11, KHOU, told them of Texas Penal Code 32.52, which is the law passed by the Legislature in 2005. “Certainly when I realized there was a law like that, I removed it from my (campaign) Web site and took it off my wall,” said Hebert. Hebert said he found a reference to his California Coast degree on the county Web site, and had it removed. Otherwise, no changes will need to be made to any county stationery or legal forms, he said. The above image is from document # 2007123005 filed October 02, 2007 at 4:22 pm. It was retrieved from the Fort Bend County Website. Wilson added the questionable title to her official signature and file stamp in the spring of 2003. It appears on every public document filed with the clerk's office since that date. Wilson, however, said she will alter references to herself in county paperwork as well as in software programs used by the county. Both California Coast University and Warren National University (then Kennedy Western) in 2004 were named by the U.S. General Accounting Office as “diploma mills.” The GAO, which monitors federal spending, specifically took to task the use of taxpayer money to pay for federal employees' enrollment in the schools. California Coast University on its Web site does claim accreditation by Distance Education and Training Council, but that agency is not recognized for accreditation by the Texas Higher Education Coordinating Board. As for Warren National, it does not bother with any accreditation. “The true recognition of a Warren National degree comes from its voluntary acceptance by the business, professional and academic communities,” states the school's web site. Wilson was indicted in 1990 by a Grand Jury on charges she allegedly used taxpayer money to finance a Bachelor Degree from St. Edwards University and a fellowship certificate from the National Center for State Courts’ Institute for Court Management. That case culminated in Wilson agreeing to reimburse the taxpayers $7,600.00. Hebert said he will consider his PhD. a matter of personal history, and contends he did not use it to “apply” for a job, having first been elected as county judge in 2002. He was re-elected in 2006, but did not face an opponent. He also readily points out the MBA he earned through Pepperdine University in California came the “traditional” way. “I don't think it makes a hill of beans about what people think about my service as county judge,” he said regarding the doctorate controversy. Wilson defends her use of the degree, pointing out her work included writing a dissertation. Kennedy-Western requires students to pass one open-book, multiple-choice test for each class, according to testimony given by Lt. Commander Claudia Gelzer, U.S. Coast guard before the U.S. Senate Committee on Governmental Affairs in 2004. "With just 16 hours of study, I had completed 40 percent of the course requirements for a master's degree,” she said. “I will say, I'm disappointed because I did the work, I did the study course. I did the test. I wrote the dissertation, but I will honor the statute,” she said. Wilson said she made a good faith effort to comply with the statute after learning about it Monday and discussing it with lawyers this week. She said she does not expect any criminal charges or other legal problems. Wilson also faced re-election in 2006, defeating a challenger in the Republican primary. District Attorney John Healey said he has heard of the controversy, but has not examined it first-hand and cannot say if either official broke the law in question. “Nobody has asked for an investigation or a prosecution of either of those individuals for that matter,” Healey said. The questionable degrees were first brought to light publicly in 2003 and 2004 in columns written by former Fort Bend Herald publisher Clyde C. King Jr.